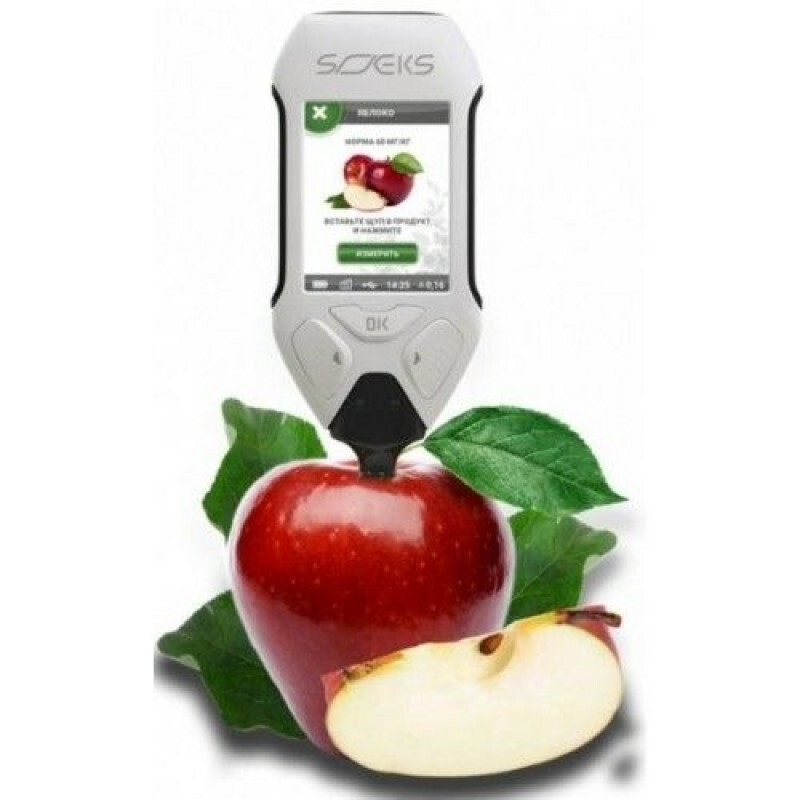 SOEKS AUSTRALIA is proud to be the first in the world to list the latest Soeks Ecovisor ENGLISH VERSION. 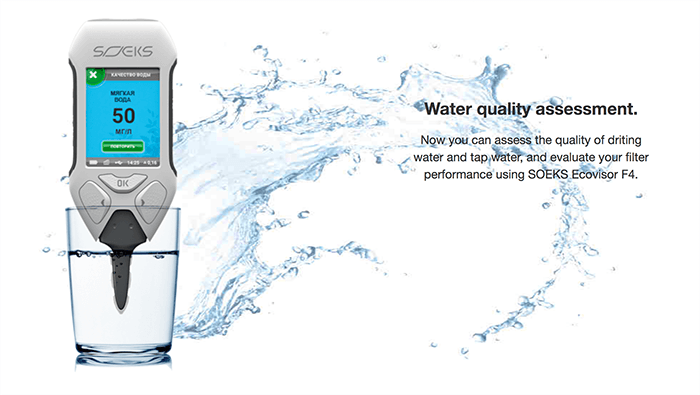 Ecovisor F4 is a real home-based laboratory combining 4 functions in one device! It’s easy and convenient to protect your family’s health when advanced technologies come to help. 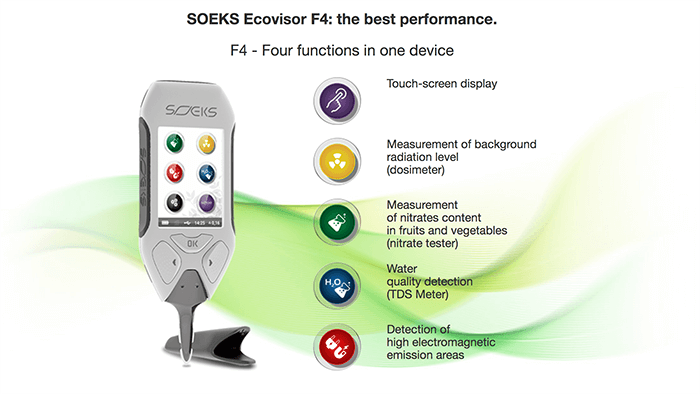 Ecovisor F4 combines all high-end technologies from SOEKS Company. With its excellent state-of-the-art design and brilliant ergonomics, we can fairly call it our best development. 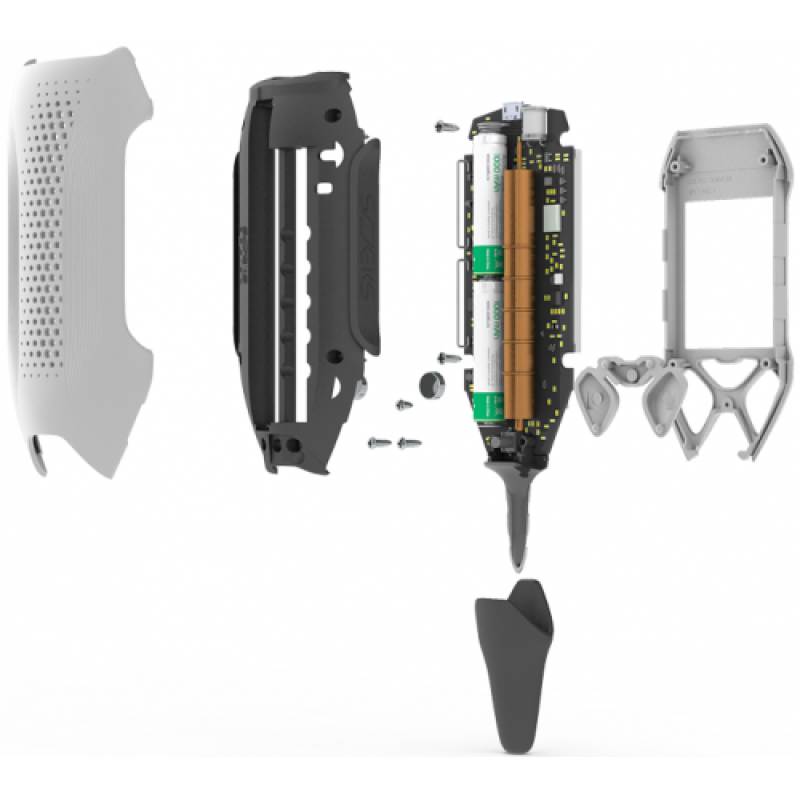 The Ecovisor body is made from a satin-coated material with rubberized side parts made from rubber. 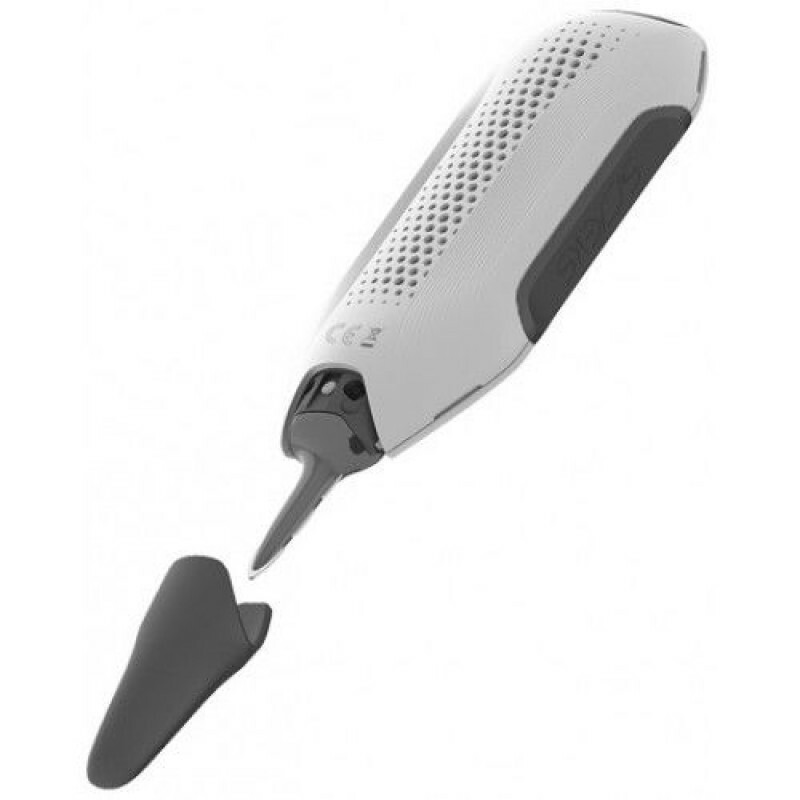 The touch screen improves control and creates more visual interface. SOEKS Ecovisor is easy to use even for an inexperienced user. 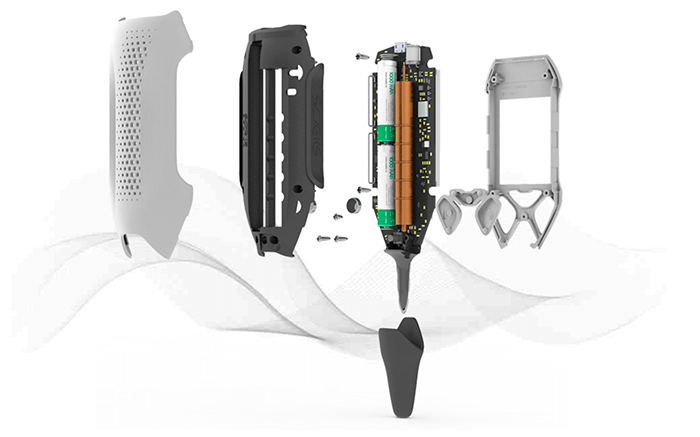 New Ecovisor can be connected to a computer, so you can easily update the firmware after purchasing the device. 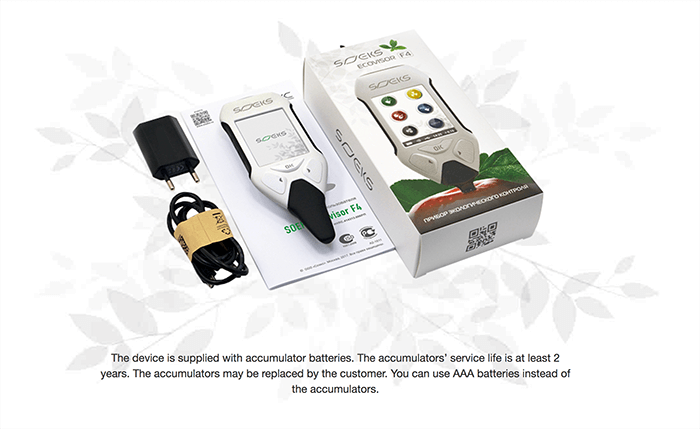 Ecovisor F4 already has the accumulators installed and is supplied with a proprietary charging device as well as a cable for connecting to a computer. 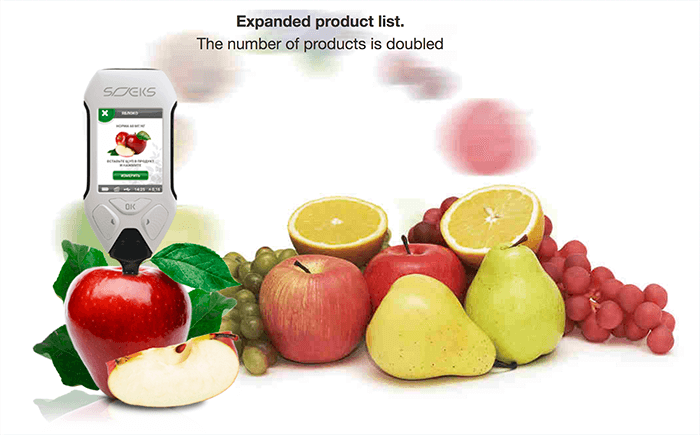 Ecovisor provides quick and easy way to check of food products quality. All you need is to select a product from the expanded list. You will find even the most exotic fruits and vegetables. 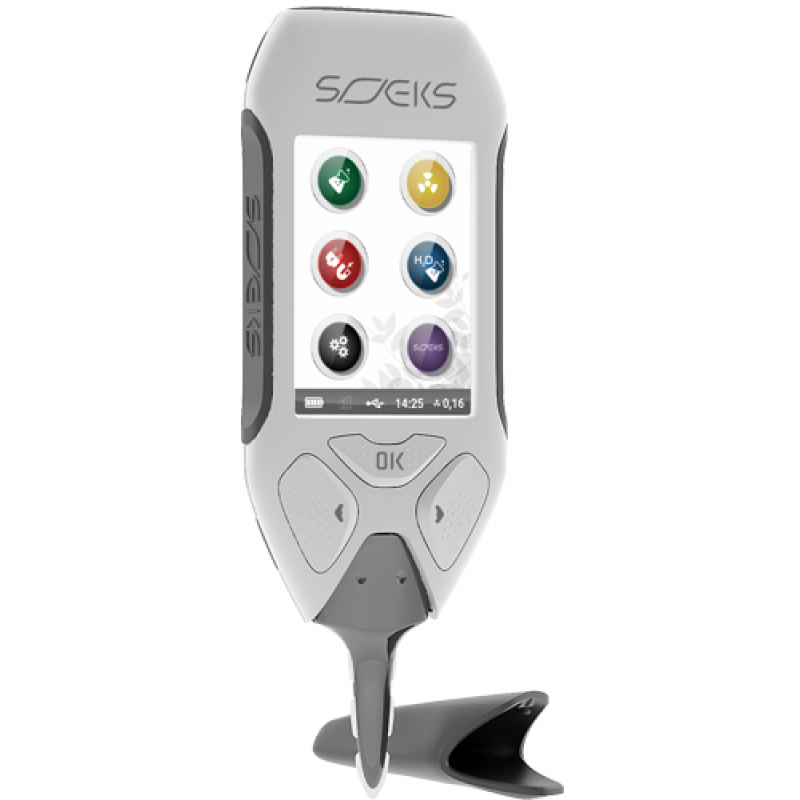 All nitrate level limits are already added to SOEKS Ecovisor’s memory.  No need to memorize complex formulas: Ecovisor generates digital and graphic warnings when the limits are exceeded. 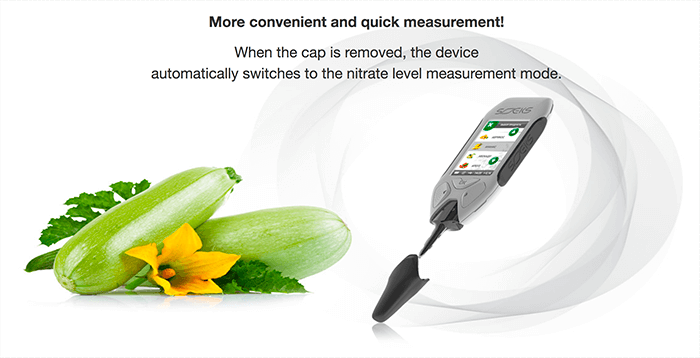 For example, “Significant excess of standard” for dangerous products, and «Normal Nitrate Content»for safe ones..
Ecovisor’s new composite probe is very different from previous models. 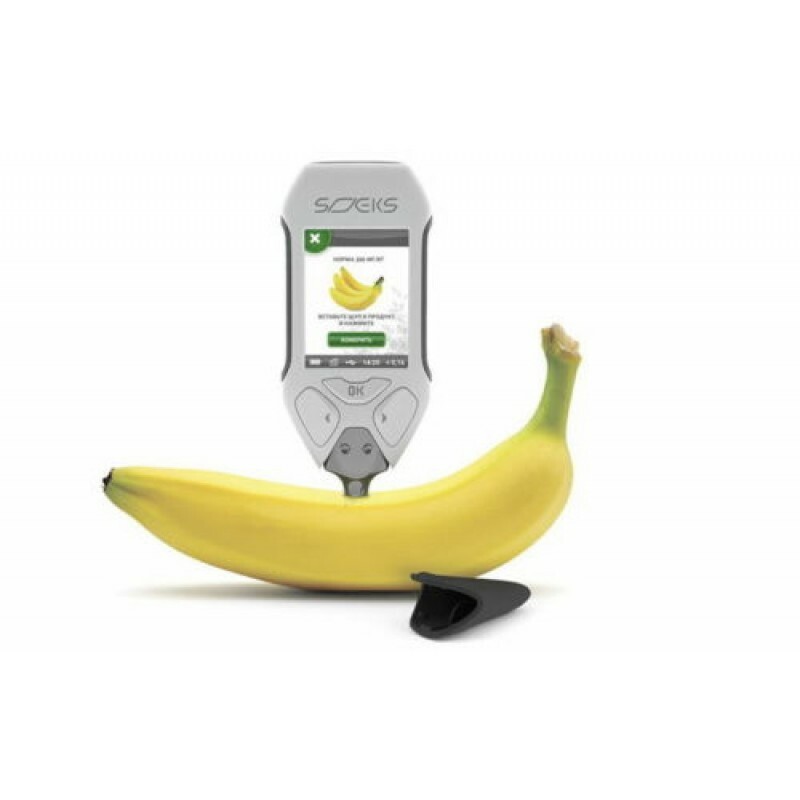 Measurements are now made in multiple points of a fruit at the same time to ensure higher accuracy. 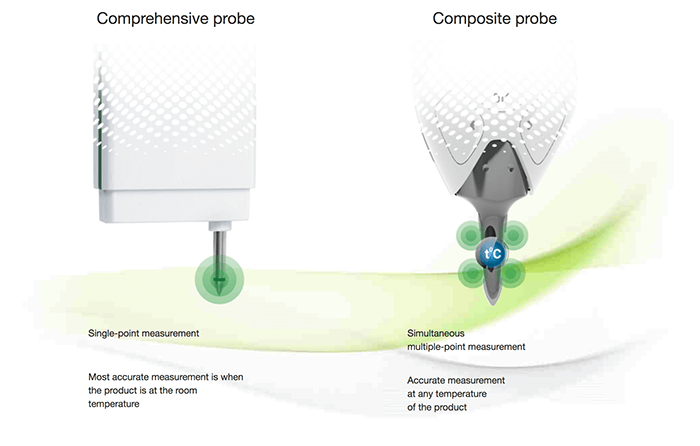 Old models reached the highest measurement accuracy at the room temperature of the product under measurement.  New Ecovisor F4 has a built-in thermal compensation sensor that ensures to better accuracy and makes it possible to measure even chilled products. Ecovisor F4 already has a built-in dosimeter. 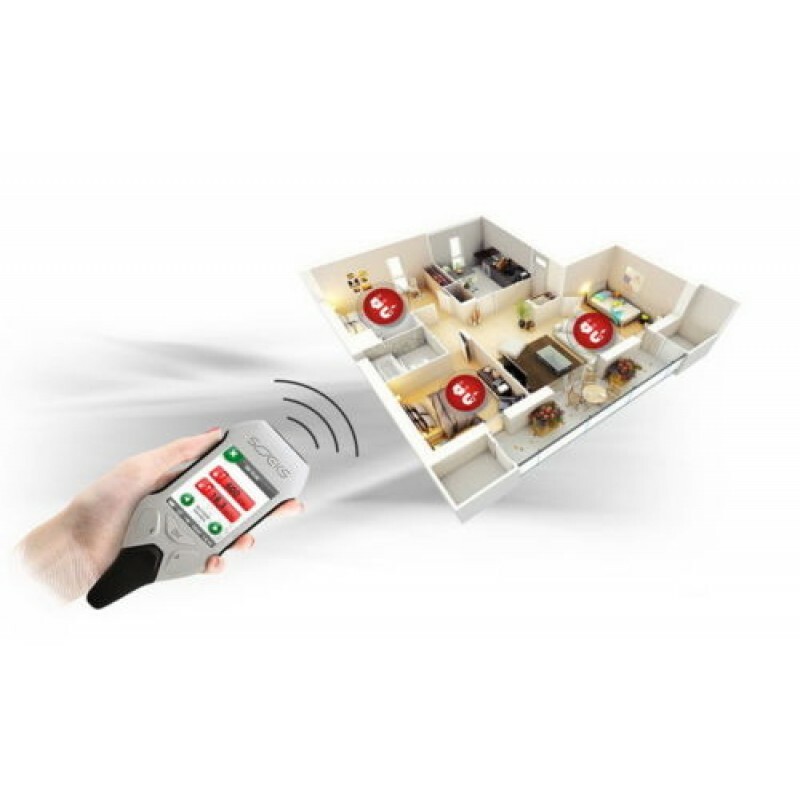 It can check the background radiation level of food products, water and other objects. 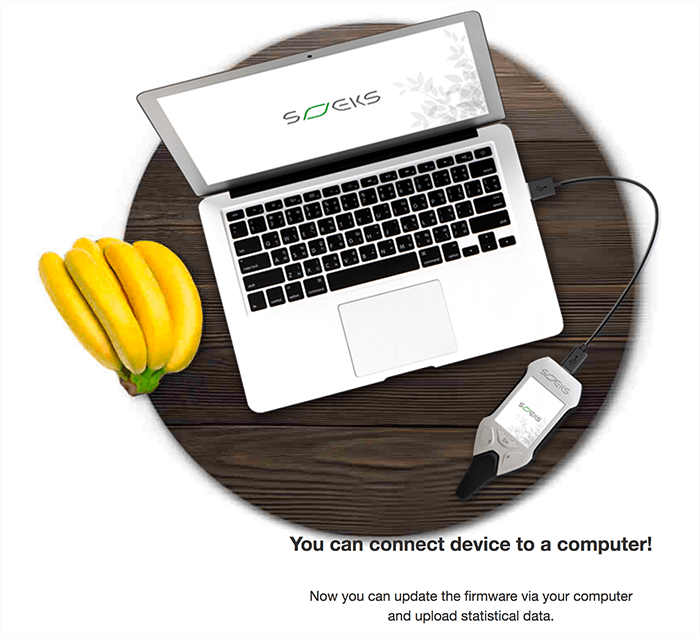 After the activation, Ecovisor SOEKS continuously measures radiation and monitors the accumulated dose. 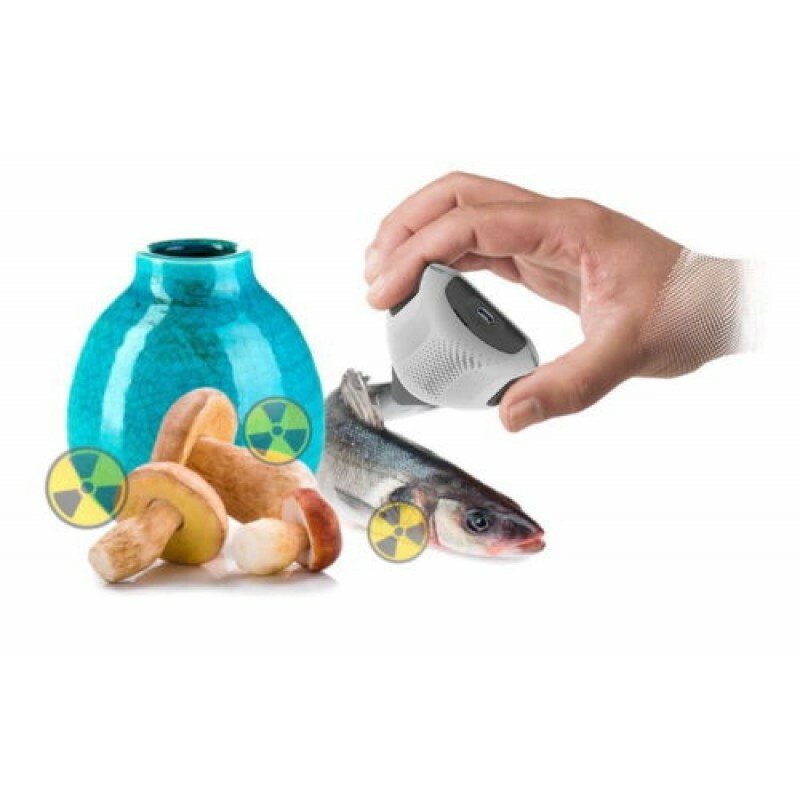 If you often fly in a plane, ecperience a radiation exposure from hospital or come into contact with radioactive objects in any way, the Ecovisor’s built-in dosimeter will be an indispensable function for you. 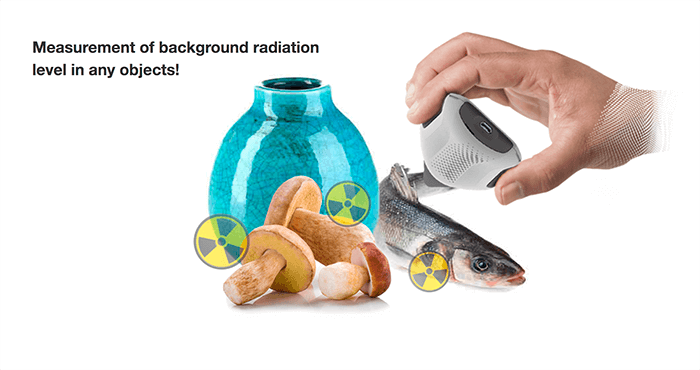 If a monthly accumulated radiation dose exceeds the permitted level, the Ecovisor F4 will warn you of a danger to your health. Water gives life, but it can be a source of danger too. 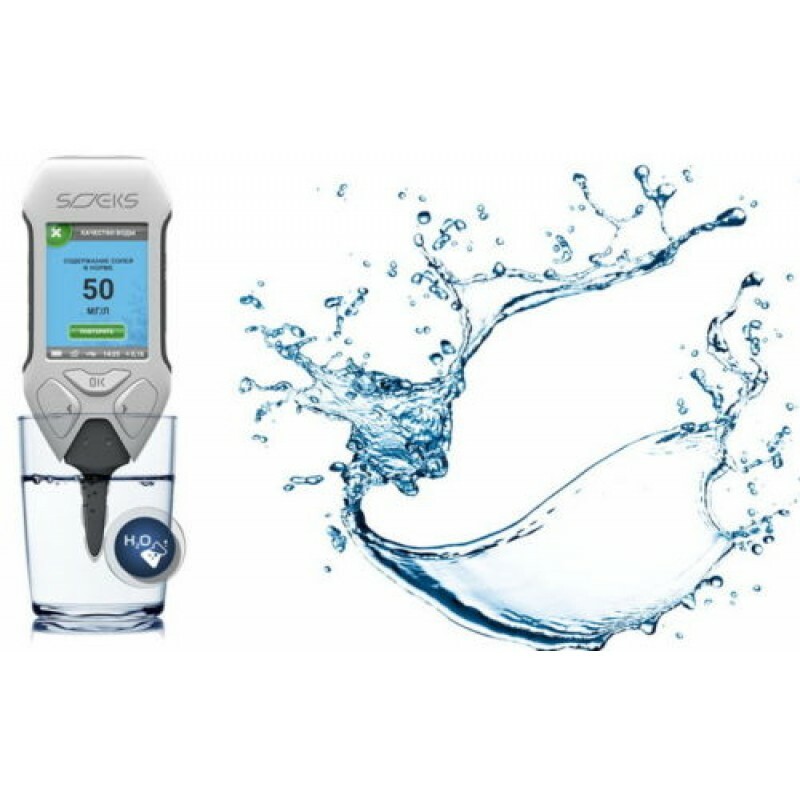 Using SOEKS Ecovisor, you can detect tap water contamination, check your filter performance and the quality of water from a well. 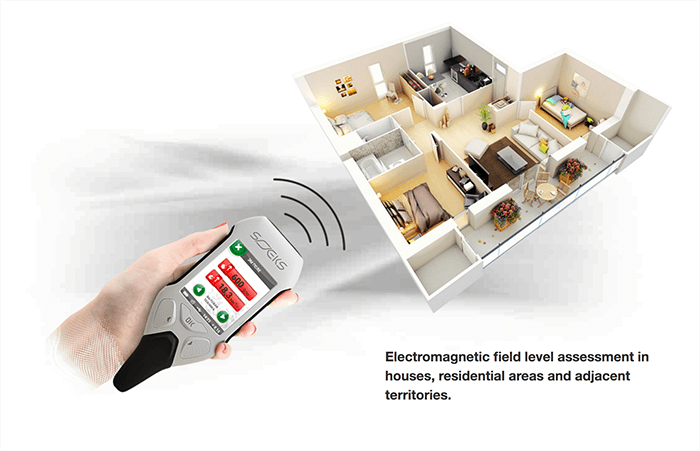 We are surrounded by electrical devices and are constantly exposed to electromagnetic emissions. Multiple electric devices create high EM emission areas in any house or apartment, without exception. 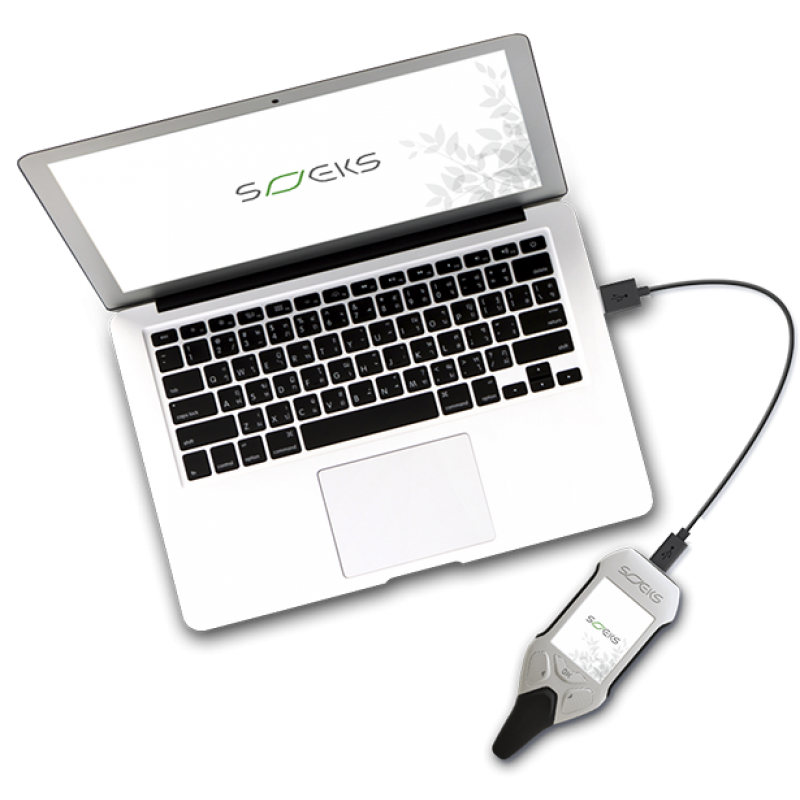 SOEKS Ecovisor has built-in electric and magnetic field sensors. 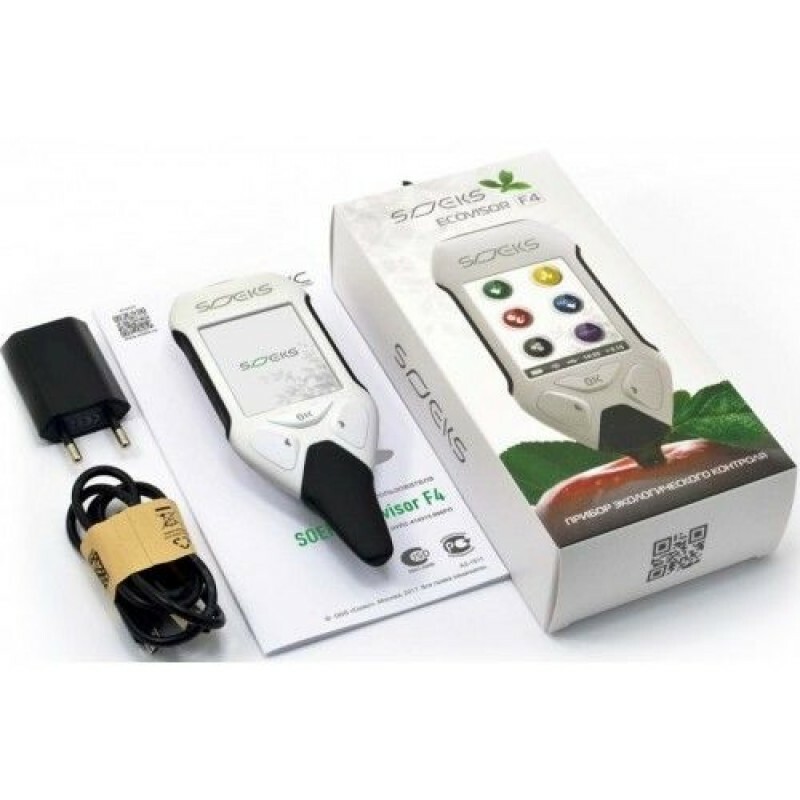 Ecovisor will readily help you to detect high emission areas. Sometimes, moving a baby crib or a sofa some 50-60 cm aside helps to prevent many future health issues. World's first store to sell English version. Battery AAA - 2 pcs.